Don't forget to look for the appropriate automatic screwdriver antenna tuner from TurboTuner! Proudly made in the USA, the TurboTuner comes in three models: ITT-1 for Icoms. KTT-1 for Kenwoods, and ZTE-YTT-1for Yaesu. When properly installed on your vehicle this antenna will provide continuous coverage from 3.5 to 54 MHz with the supplied whip. 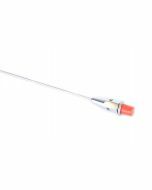 The Little Tarheel II antenna like all Tarheel motorized antenna models are built to meet the highest standards but in a smaller size. All Tarheel antennas come with the sensors already pre-installed so if you decide to add one of the auto controllers (SDC-100 Simple Controller, SDC-102 Programmable Controller, Turbo Tuner, Antenna BOSS and BOSS II) now or later everything is ready. Tarheel has designed this antenna for the person who wants to enjoy HF mobile but is not interested in the larger antenna choices. 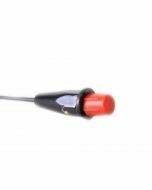 Don't let the small size fool you because this antenna is designed to be mounted higher on the vehicle, and when mounted higher on the vehicle you have less ground loses which equals higher performance. 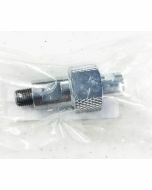 Also, because of the smaller size you can use a more common type of mount like the Diamond K400 Series, the Comet Series or similar 3/8" stud type mount. And like the other Tarheel antennas you get the same great look with the Dupont Imron 5000 system with standard colors of black, white, red or silver. It also comes with the Lexan (TM) Weather Shield like its big brothers, not the flimsy stuff others use. This model also uses the commercial 12 volt gear motor. Tarheel designed the Little Tarheel II as a package. All you need extra is a mount of some sort and a nice HF radio. 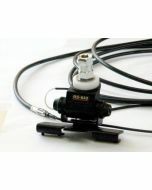 Included standard with the Little Tarheel II antenna is: the whip, 20 ft. of plug & play control cable, manual control box, ferrite decoupling core and 3/8-24 stud. The warranty is simple: For the 1st 30 days if for any reason you are not completely satisfied, return the antenna for a full refund less the shipping charges. The antenna has a ONE YEAR NO MATTER WHAT WARRANTY to the original owner. If for any reason (other than damage due to negligence, improper use or unauthorized disassembly) your Tarheel Antenna fails to perform due to quality or workmanship Tarheel Antennas, Inc. will at their discretion either repair or replace at no charge for parts or labor. Shipping charges are your (the customer's) responsibility to and from Tarheel Antennas' repair shop. 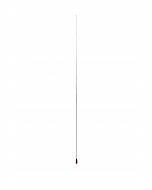 Lower Mast Length -- 16"
Total Length of Antenna in 54 MHz position -- 48"
Total Length of Antenna in 3.5 MHz position -- 54"
Power Rating -- 200 watts P.E.P. When using the Little Tarheel II with a 56" whip.